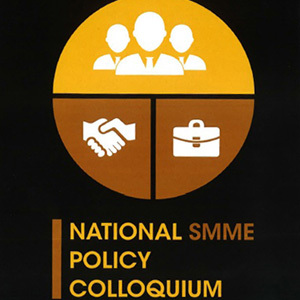 The inaugural National SMME Policy Colloquium wrapped up after three days of deliberations underscored by the message: the right enabling environment is needed for small business to realise its huge potential for transforming the economy. 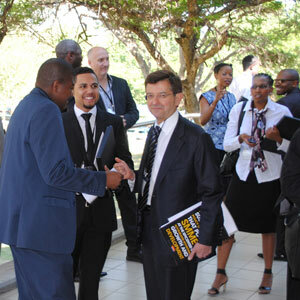 The inaugural National SMME Policy Colloquium wrapped up at the Industrial Development Corporation’s (IDC’s) headquarters in Sandton on Thursday, 23 October after three days of deliberations underscored by the common message: the right enabling environment is needed if small business is to realise its huge potential for transforming South Africa’s economy. Small Business Development Minister Lindiwe Zulu, in her opening address to the gathering on 21 October, said research by Global Entrepreneurship Monitor showed that small businesses created more than 50 percent of all employment opportunities in South Africa, while contributing more than 45 percent of the country’s gross domestic product (GDP). They did this, Zulu said, despite the fact that South Africa has extremely low rates of entrepreneurship compared to the rest of Africa and the world, combined with high rates of failure for small businesses. “This means our country has yet to see the true value and benefits of SMMEs,” Zulu said – a view that is shared by the National Development Plan, which envisages that, by 2030, 90% of new employment will be generated by small, medium and micro enterprises (SMMEs). Doing this, Zulu said, called for practical implementation plans for SMME development – and the National SMME Policy Colloquium had been convened precisely to help formulate such plans. An initiative of the recently formed Department of Small Business Development in partnership with the Small Business Development Institute (SBDI), the three-day event brought the country’s leading small business and economic development experts together under one roof. These experts included executives and other representatives of the SBDI and its strategic partners – the Black Business Council (BBC), National African Federated Chamber of Commerce and Industry (Nafcoc), SA Institute of Tax Professionals (SAIT), SA Institute for Business Accountants (SAIBA), and the International Society for Small and Medium Enterprises (ISSME). 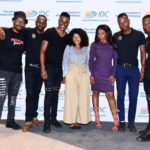 IDC Divisional Executive, Khumo Morolo, said at the opening of the colloquium that while the small business sector contributed more than half of both employment and GDP in the country, ” it often operates in an incoherent and haphazard manner. Its power and contribution needs to be harnessed and helped through the drawing up of an SMME developmental agenda”. Xolani Qubeka, chief executive of the SBDI, said in his address that there had so far been few, if any, strategic initiatives that linked SMME development to the NDP. The colloquium could fill this gap by unpacking those aspects of the NDP which could create an enabling environment for SMME growth. 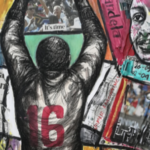 What followed was no mere talk-shop, but a series of intensive break-away workshop sessions which, two days later, delivered a comprehensive set of resolutions that is set to inform the government’s SMME policies and strategies going forward. These include a call for the government’s localisation strategy and associated procurement laws and regulations to be redrafted with an SMME focus, in order to enable small businesses to bid for state tenders and through this to play a greater role in the country’s infrastructure build programme. The creation of an enabling regulatory and taxation environment for SMMEs runs through many of the resolutions, with calls to raise the threshold allowing micro businesses to pay their tax based on cash receipts, to make the definition of small businesses for tax purposes sensitive to different sectors of the economy, and to regulate accountants offering services to SMMEs. The SA Revenue Service (Sars) is accordingly urged to improve and expand its communication with taxpayers, avoid laying “minefields” for entrepreneurs by overusing technical jargon, and establish a dedicated service offering for small businesses to match the one it currently offers to large corporates. Regarding the contentious issue of late and non-payment of SMMEs by government departments and state-owned enterprises, the colloquium passed a number of resolutions calling, inter alia, for the introduction of payment guarantees, penalties for late payment, and the creation of a special tribunal or ombudsman to intervene on behalf of small businesses. Regarding the role of co-operatives, the colloquium called for the convening of a separate National Co-operative Policy Colloquium, as well as for programmes to raise awareness of the fact that co-ops are not merely self-help groups for poor people, but a sustainable form of business that can contribute to radical economic transformation in the country. This resolution was echoed by a wider call for entrepreneurship to be made part of the curriculum at schools, colleges and universities, in order to foster a culture of entrepreneurship among the youth. The colloquium also gave its full endorsement to the Department of Small Business Development, calling for new legislation with any bearing on SMMEs to be vetted by the department, and urging the department to champion the streamlining of support services for SMMEs among different departments, agencies and tiers of government. Small Business Development Deputy Minister Elizabeth Thabethe, in her closing address, thanked the delegates both for the concerns they had raised as well as for their “readiness for finding solutions”. Thabethe praised the colloquium for successfully getting the department’s policy and strategy formulation process up and running, singled out a number of resolutions for her approval, and assured the delegates that the department would indeed be working to create a stronger and more streamlined service offering for SMMEs across all levels of government.